Every bet made in the casino contributes to your XP (experience) bar. 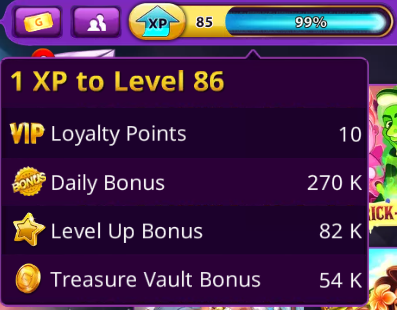 The amount you bet per spin will increase your XP by that same amount. The more you play in Gambino Slots, the quicker you increase your experience and level up. Your current level is always displayed at the top of the screen, whether you are playing one of our games or are in the Lobby.